Within months, the image of dead U.S. soldiers dragged through the streets of Mogadishu profoundly changed the way the U.S. approached Africa. And yet it is barely mentioned in the explorations of Bush's legacy since his death. A generation later, Army leaders can still learn from the harrowing battle of 1993. 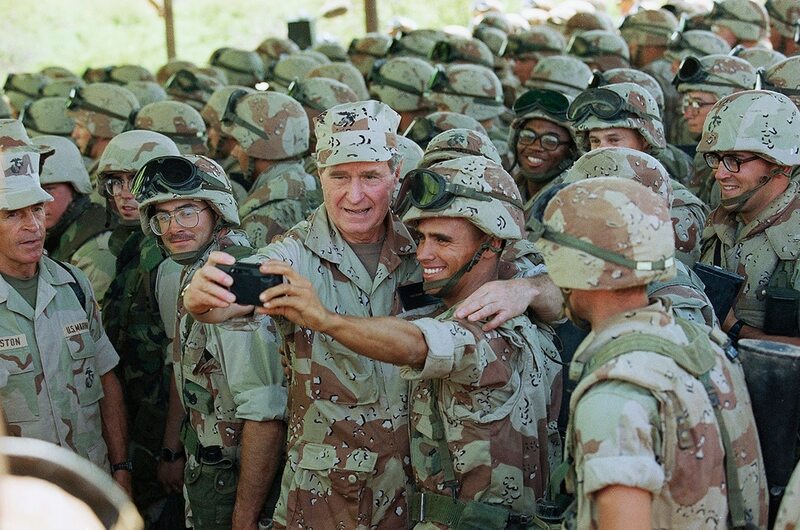 In Bush's time, it was different. The Somalia mission was promoted as an act of charity, meant to protect starving Somalis from the attacks and looting that kept them from reaching aid in a country torn by warlord-led fighting after the fall of dictator of Siad Barre. The United Nations has estimated 300,000 people died. "You're doing God's work," Bush said as he ended his live address from the White House. "We will not fail." A month after ordering in the troops, he shared a modest New Year's meal with dozens of soldiers and Marines and told them the American people were fully behind them in the mission to help Somalis, called Operation Restore Hope. "Thanks to you, they got a shot. They got a shot at really living," Stars and Stripes reported him saying. These days, a visit to Somalia by an American president, wearing desert fatigues and dutifully eating the soldiers' meal of "Menu No. 8: Ham slice with Accessory Packet A," is now almost unthinkable. A quarter-century later, Somalia's fragile central government is still trying to take hold. It wrestles with widespread corruption, bitter relations with regional states and high-profile attacks by the al-Qaida-linked al-Shabab — and now a new threat from fighters linked to the Islamic State organization. While Trump recently announced he would soon visit a "war zone," chances are it will not be Somalia. After decades of the U.S. largely leaving Somalis to work out their own problems, the Trump administration with its focus on counterterror operations has grown the number of U.S. military personnel in the country to an estimated 500. But now the work is about fighting extremists. U.S. airstrikes targeting al-Shabab, 37 so far this year, receive much of the attention. The plans, submitted by a top U.S. military commander, align with the Trump administration’s strategy to focus on near-peer threats from countries like China and Russia. 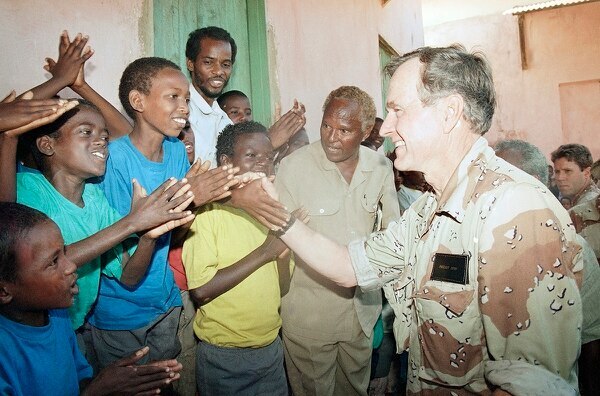 Bush's death has revived a debate among some Somalis about the U.S. presence years ago, with some remembering their countrymen killed in the fight against warlords and others arguing that thousands of starving people were saved. The country's Somali-American president, Mohamed Abdullahi Mohamed, avoided discussions of the past when he released a brief statement early Sunday expressing "heartfelt condolences."